Home / Articles / Sturgeon’s runner-up on May 5? Sturgeon’s runner-up on May 5? Let’s be blunt: their eyes are firmly set on 2021. By then, after 14 years in power, the SNP might be fading and independence finally a chimera. Who knows? What’s certain is that Nicola Sturgeon will remain first minister on May 6 this year and Scotland’s two other leading women politicians, Kezia Dugdale and Ruth Davidson, will have a clearer idea of which of them might dream of replacing her in five years. 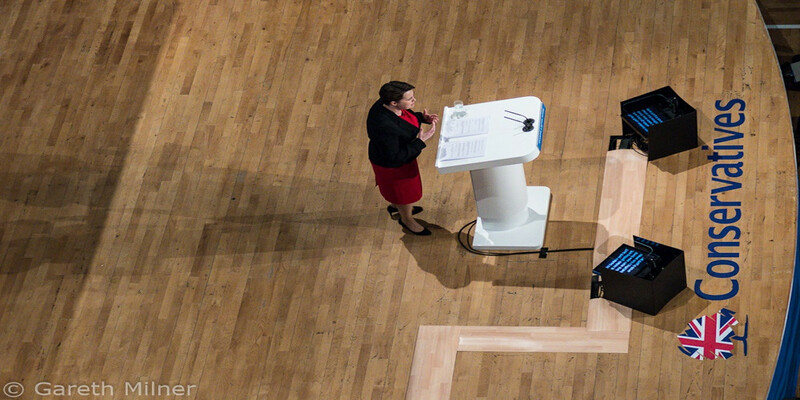 “There’s a responsibility on me to increase our vote,” Davidson, Scottish Conservative leader, told the David Hume Institute early this month. She wants to turn her party from an old Skoda into a VW Golf (without manipulating its performance, no doubt) with fresh young faces as its #SP2016 candidates armed with a few new policies. This means coming second on May 5 and replacing Labour’s Dugdale as leader of the opposition in Holyrood though Davidson has hedged by talking of “best ever result” (19 seats or more out of 129). A recent YouGov poll put them marginally ahead of Scottish Labour but both on 25 seats. But then came an Ipsos-Mori one knocking the Tories back behind Labour on just 16/15%. With 12 weeks to election day, plenty to play for as sports commentators say – certainly as regards second place, with the SNP set to regain both League and Cup under Sturgeon’s single-minded leadership. And, while it’s true that Davidson’s star shines in what cybernats disparage as the “yoon” media despite no firm evidence yet to show she’ll meet her goals, there’s equally no compelling reason yet why she won’t. The Scottish Conservative leader is being hailed in some Tory circles as (with Stephen Crabb MP, the Welsh secretary) the new youthful baton-holder for social justice within the One Nation wing of the party – with the recent launch of the Compassionate Conservative Caucus. And she has signed up for the living wage (like Cameron and Osborne) and other measures to alleviate poverty such as free childcare. She has even demanded a place for employee reps on company remuneration committees and attacked ‘fat cat’ pay unrelated to actual performance and way out of kilter with employee earnings. And, of course, she supports gay marriage as a social liberal. However, like that covert band of tax-cutting or even flat tax fans inside the self-styled social democratic SNP, she unashamedly believes in lower taxation as the route to improved growth and increased jobs. The pro-business “independent commission for competitive and fair taxation in Scotland” she set up would freeze business rates until at least 2021 – and backs a “fairer, more local and progressive” tax to replace council tax. But its core recommendation – and one that has hardly been commented upon – is the introduction of a new 30% tax band along with measures to reduce the numbers (372,000 or relatively/proportionally small compared to England) captured by the 40% rate. “The commission’s central recommendation is that the tax burden should be no higher in Scotland than in the rest of the UK, and lower when affordable – and I back that 100%,” she has said. Davidson says the case for the 30p rate is “compelling” as it will ease the fiscal burden on the “squeezed middle” and “aspirational families” – an unashamedly neo-Thatcherite appeal to middle class Scots reluctant to stump up more tax to fund public services (from which they benefit hugely). But neither she nor the commission chaired by Iain McMillan, ex-CBI Scotland director, make much of a case for the 30p band – where it would kick in and how many it would benefit. Especially, they fail to grapple with the question how this equates with their desire to simplify the tax system nor, above all, with reducing inequality. This illustrates Davidson’s dilemma. She has certainly failed to put clear blue water between the Scottish Tories and the SNP on taxation, with Sturgeon and John Swinney, her deputy, in no mood to penalise the middle class or alienate its petit bourgeois wing. Equally, and especially after six years at Westminster of redistributing income and wealth from the poor to the rich, nobody truly trusts a Conservative on social justice. Nor, right now, do many have faith in Scottish Labour’s ability to deliver in the fight against inequality and poverty despite Dugdale’s stand on tax increases. They still back the SNP on that score too – and, that Ipsos Mori poll showed, don’t want to pay any more tax. The well-heeled, socially aware middle class professional might vote Labour in London but is just as likely to opt for the SNP here. Of course, things could change even a little within three months. The UK Budget on March 16 is likely to be delivered amid continuing deflationary/recessionary fears on global markets and Osborne will be forced to admit his growth and deficit targets are way off. So there could be some further fiscal tightening – austerity, that is. The main beneficiary of this would almost certainly be Sturgeon and the SNP, not Labour and probably not Davidson – even though, at UK level, the Conservatives’ support is holding up extraordinarily well against Jeremy Corbyn’s Labour. John Sweeney, the BBC reporter who interviewed Davidson for Newsnight last month, praises her for her “brutal good humour” and “authenticity” and suggests the Scottish Tories would be in a worse place if she were not at the helm. And, indeed, she comes over as what he calls a “firkin of fun” but also as strong, keenly intelligent and ambitious. The Conservative brand she’s trying to refashion remains her biggest obstacle en route to opposition leader or beyond. If Labour’s remains (so far) indelibly toxic her party’s image is utterly ambiguous in its policy swings between classical economic thinking and embrace of the state to tame markets and combat lack of achievement . Like Dugdale, Davidson needs most of the five years ahead in opposition to try and complete the change.